When That was designed and coded by Callum Predavec. Callum is currently 14 years old and in Year 10 at Mosman High School. When That won the NSW Young ICT Awards 2015 (Year 9-10). When That won the NSW Hills Young Innovator of the Year 2015, Cloud division. When That won a merit award from the iAwards in the same year. When That was a finalist in the iAwards National Secondary Student Category, 2015. When That was a finalist in the National Hills Young Innovator of the Year 2015. Callum was winner of the Young ICT Awards 2014 (Year 7-8) with his Car Share Space Monitor device. Callum also presented his device at the 2014 Pearcey Awards at NSW Parliament House. 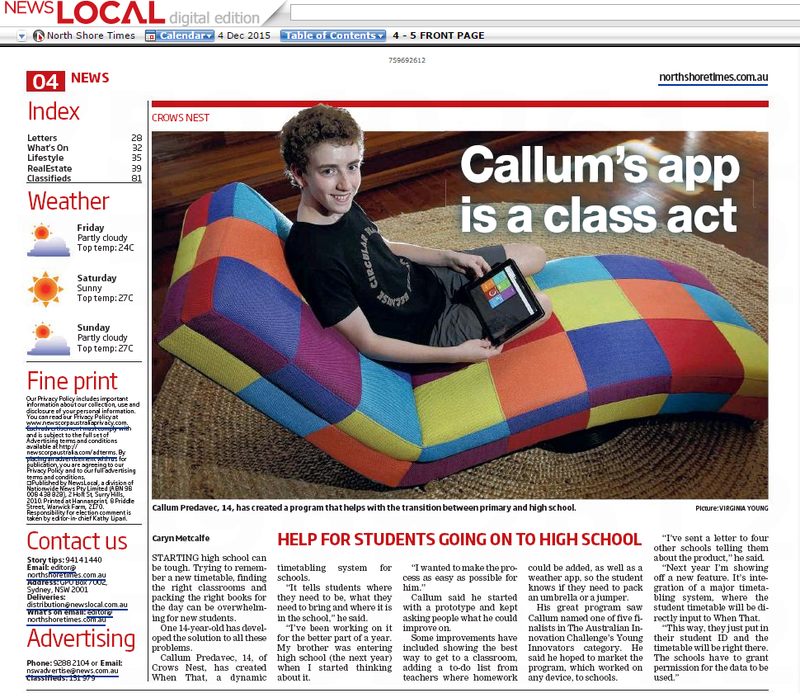 Callum has been featured in the North Shore Times for When That. 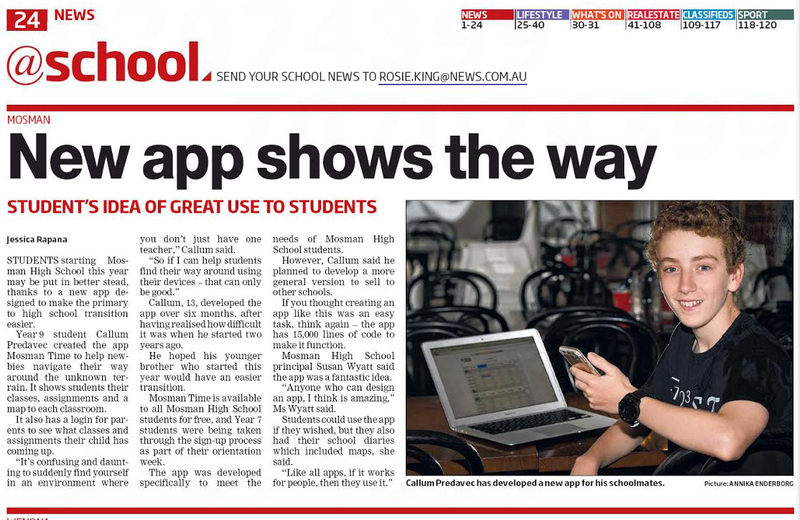 Callum has also been featured in the Mosman Daily and Daily Telegraph for Mosman Time, a customised version of When That for Mosman High School.